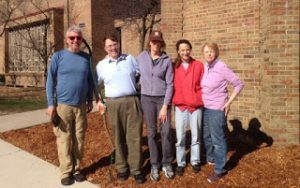 We invite you to join together with a large number of parishioners, Cub Scouts & Boy Scouts, Mexiquenses en Michigan group, and garden volunteers, in our efforts to rake, trim, spread wood chip mulch and, remove debris all around our beautiful Church grounds. We’ll have yard waste bags and some gardening tools. In addition, you may want to bring your own work gloves and tools. 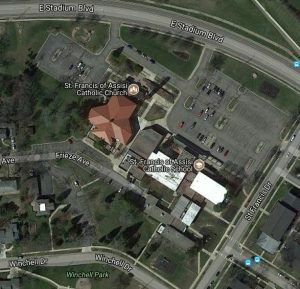 Several gardens surround the St Francis of Assisi campus of buildings, including, but not limited to, the church, school, rectory and/or parish offices. These gardens need to be a beautiful expression of hospitality, in particular, the entrances, to our fellow parishioners and visitors as well as reflect a statement of our appreciation for God’s creation and nature. To improve all gardens in design and plantings (native plants emphasis), specifically, initiating an effort on the front entrance of the church and expand to existing (and new) gardens over time (e.g., 1-5 years). Donations and volunteers (with families) are ALWAYS welcome. If you like to garden, or want to learn to care for one of God’s gardens – this is a wonderful hands-on way to minister. We invite you to sign-up for April to October activities by please completing form entries below. DONATE: Compost/Top Soil/Fertilizer, Equipment (e.g., Hoses)/Tools (e.g. Trowels/Garden Gloves), Plants (e.g., Annual, Perennials, Woody Ornamentals/Shrubs, Trees). PRAY: For God’s blessing on our soil, on our hearts and on our hands as we garden. 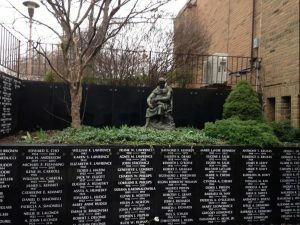 Learn more at our garden blog and, our parish garden page.